Please describe what you would like Annette Hills to do: Please enter your message. As a successful human resources professional in the corporate world, Annette's career flourished while hiring hundreds, if not thousands, of employees over the course of 22 years. However, in her second career as an inspirational speaker and award-winning recording artist, she found her true calling and joy in presenting uplifting inspirational talks and music to audiences thirsting for God. She now shares her life experiences of how the Lord healed her of a major illness and taught her how to deal with childhood sexual abuse. She energizes her audiences to continually focus on their God-given mission and reach new goals as they journey through life. Her captivating testimonials deliver spirit-filled healing and encouragement, and invigorate her listeners. 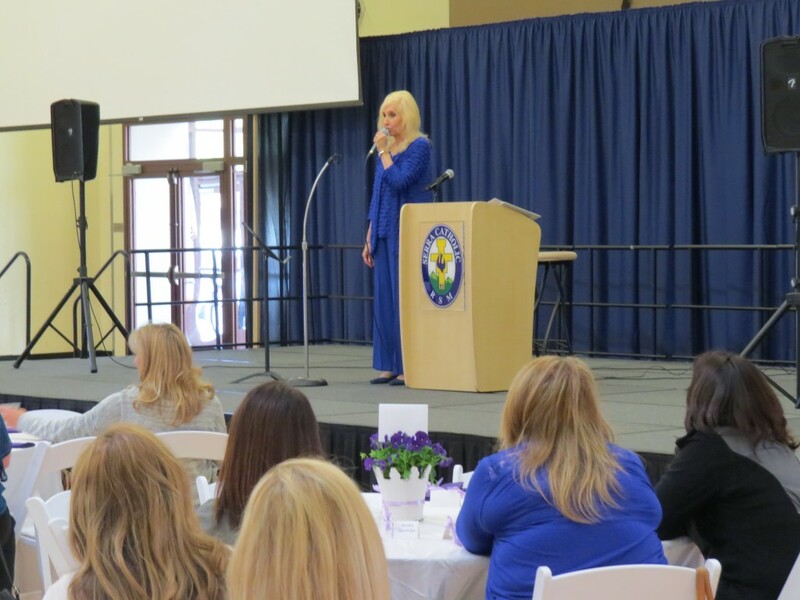 Annette Hills is an inspirational speaker, recording artist and songwriter. Her album, “Inspirations from Annette Hills", is the winner of the 2012 Album of the Year Award from the Catholic Music Express. In addition, Annette was nominated for Female Vocalist of the Year, and her rendition of “The Prayer” was nominated for Best Song of the Year! Other names in competition for these titles were well known Catholic artist, John Michael Talbot and TV celebrity, Susan Boyle. One of Annette’s greatest pleasures is giving inspirational talks for the Lord which she often does in combination with her music. Annette's talks will inspire you and capture your heart as she shares her testimony of love. She spent many years raising a family and working at a career as an employment recruiter, but eventually the Lord prompted her to take voice lessons and use her musical talents. Her voice lessons stopped abruptly, however, at the end of one year due to a severe injury which resulted in major surgery. As she gazed at her wheel chair, walker, crutches, and cane, and struggled with physical therapy for the better part of a year, she knew that the Holy Spirit was asking her to bring her healing message to others. 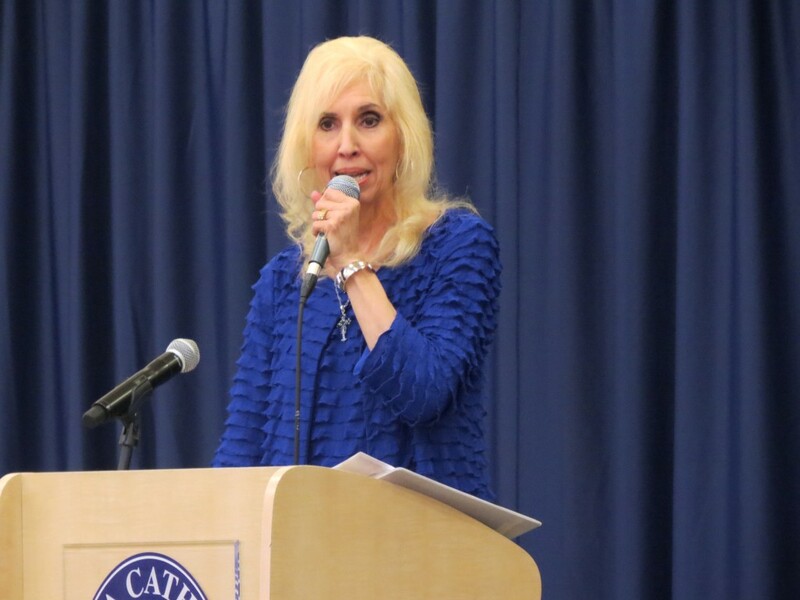 Her talks spread encouraging messages of faith, hope, love, healing, and forgiveness and communicate many of her life experiences, including how the Lord healed her of a major illness and childhood sexual abuse (not related in any way to the priest scandal). Her ministry centers on God’s compassion to reach out and bring wholeness to His people. In Annette’s case, scripture proved to be true “…..all things work for good for those who love God, who are called according to His purpose.” (Romans 8:28). 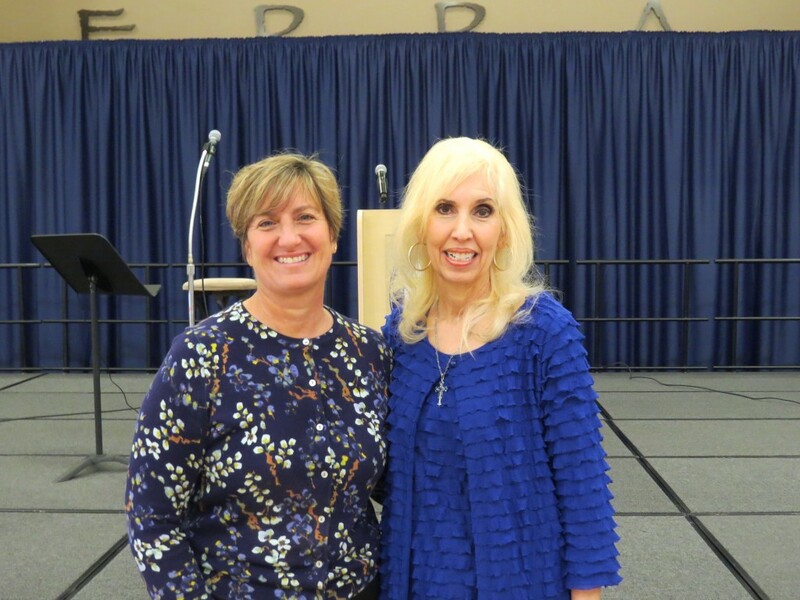 When fully recovered from her illness and injury, her new-found ministry led her to present over 100 inspirational programs. Annette has been acknowledged with interviews from worldwide Radio Maria, from Catholic Music Express Radio, and from St. Joseph Radio. Annette has had occasions to speak and perform at parishes and ministries throughout the United States including the Magnificat Catholic Women’s Ministry, Christ Renews His Parish weekend programs, Mom’s Ministries, St. Theresa Little Flower Guild, the Legion of Mary, the Young Ladies Institute, the Serra Club, the Catholic Daughters of the Americas, the Intercessors of Divine Mercy, the Knights of Columbus, at her local Bishop's home for charity events, and at many other venues. She currently has three music albums which are successfully marketed nationwide on the internet through well known music sites. In 2016 she also recorded a devotional Rosary/Chaplet album featuring the Bishop of the Diocese of Orange in California, the Most Reverend Kevin W. Vann, and four priests. This album Chaplet is aired three times a day on EWTN. Annette has been active in numerous church activities and organizations including the Equestrian Order of the Holy Sepulchre of Jerusalem, the Orange County Pastoral Services Appeal, and the Magnificat Ministry to Catholic Women, to name a few. Annette has provided solo entertainment during workshop break sessions at the Anaheim Convention Center for the Southern California Renewal Communities Conferences and at the Los Angeles Religious Education Congress in Anaheim, California. It is Annette’s goal to share her spiritual journey with others who are in need of inner healing; and it is her hope that her story and her music will bless, inspire, and touch hearts and souls for the Glory of God! 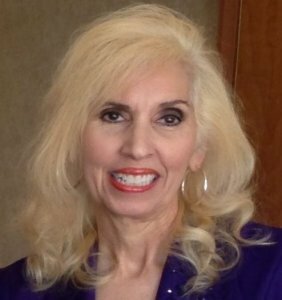 Annette is available to give inspirational talks and/or concerts at conventions, conferences, churches and wherever the Lord calls her. To book Annette Hills for a talk, contact CatholicSpeakers.com at 513-214-1534 or click here: https://catholicspeakers.com/profiles/annette-hills Annette Hills is an inspirational speaker and recording artist who combines uplifting spiritual talks with music to share her life experiences of how the Lord healed her of a major illness and taught her how to deal with childhood sexual abuse. Her testimonials deliver spirit-filled encouragement and forgiveness to others. She began her professional singing career in 2009 and has since been acknowledged with awards of distinction. To book Annette Hills for an event, contact CatholicSpeakers.com at 513-214-1534 or click here: https://catholicspeakers.com/profiles/annette-hills Annette Hills is an inspirational speaker and recording artist who combines spiritual talks with music to share her life experiences of how the Lord healed her of a major illness and taught her how to deal with childhood sexual abuse. Her testimonials deliver spirit-filled encouragement and forgiveness to others. She began her professional singing career in 2009 and has since been acknowledged with awards of distinction. 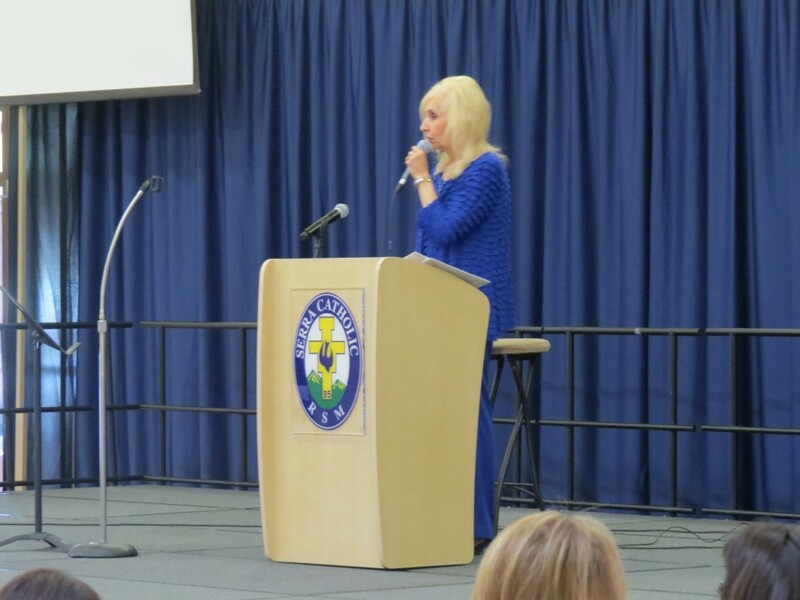 To book Annette Hills for an event, contact CatholicSpeakers.com at 513-214-1534 or click here: https://catholicspeakers.com/profiles/annette-hills flourished while hiring hundreds, if not thousands, of employees over the course of 22 years. However, in her second career as an inspirational speaker and award-winning recording artist, she found her true calling and joy in presenting uplifting inspirational talks and music to audiences thirsting for God. She now shares her life experiences of how the Lord healed her of a major illness and taught her how to deal with childhood sexual abuse. She energizes her audiences to continually focus on their God-given mission and reach new goals as they journey through life. Her captivating testimonials deliver spirit-filled healing and encouragement, and invigorate her listeners. 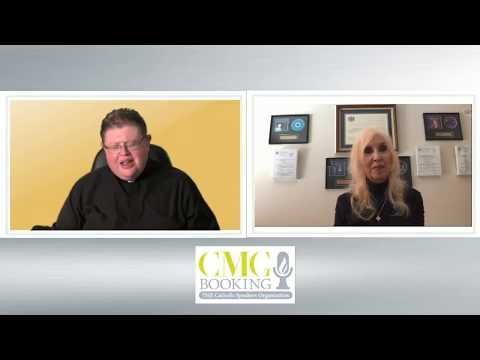 To book Annette Hills, please contact www.CMGbooking.com. She has been giving inspirational and motivational talks to audiences since 1999. She began her professional singing career in 2009 and has since been acknowledged with awards of distinction. She often combines her inspirational talks with music to deliver spirit-filled encouragement and healing to others.